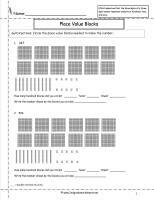 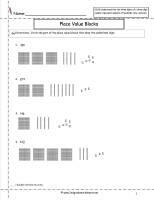 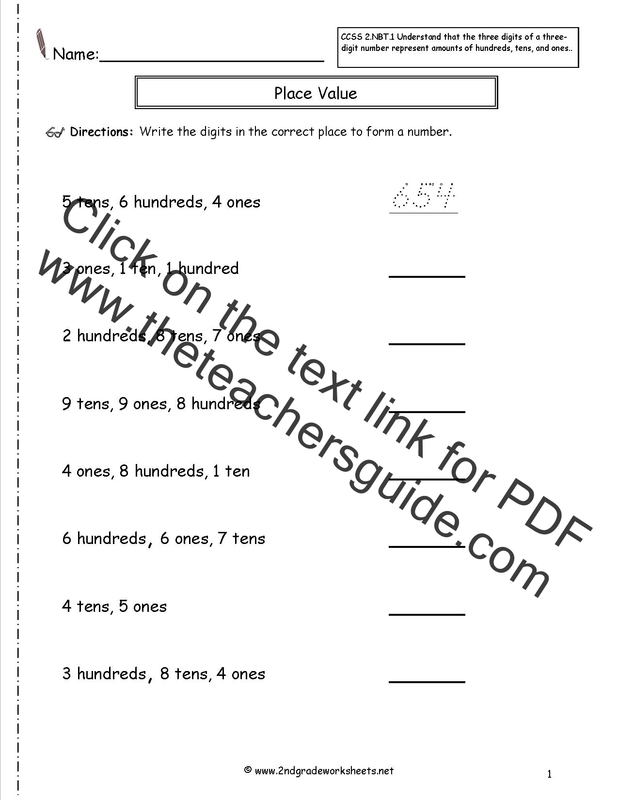 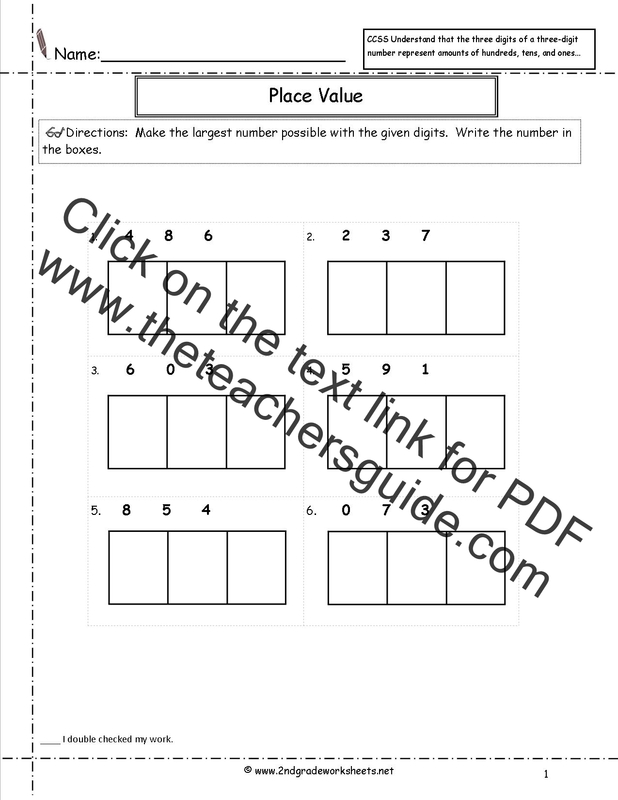 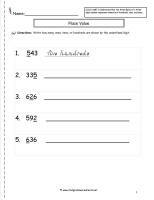 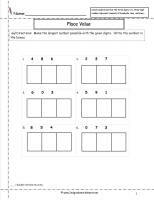 ﻿ CCSS 2.NBT.1 Worksheets Place Value Worksheets. 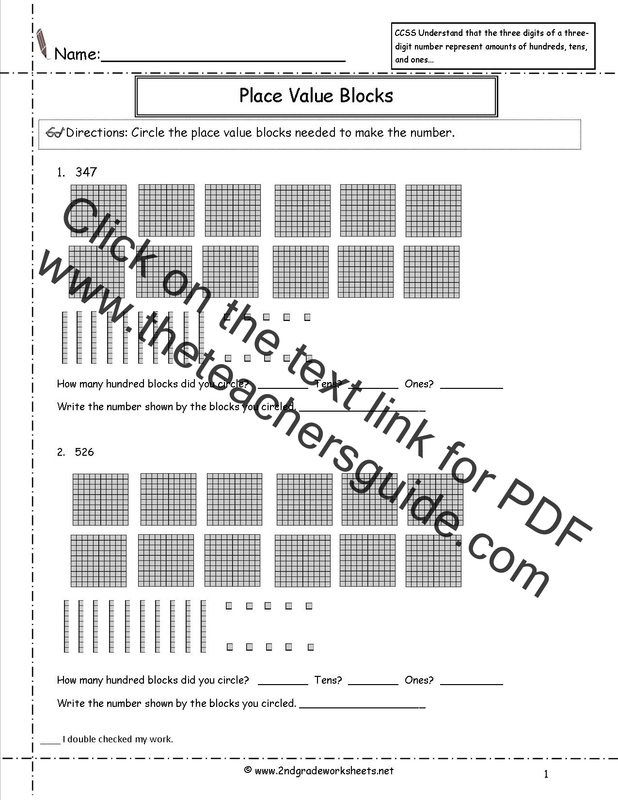 Students circle place value blocks to make a number. 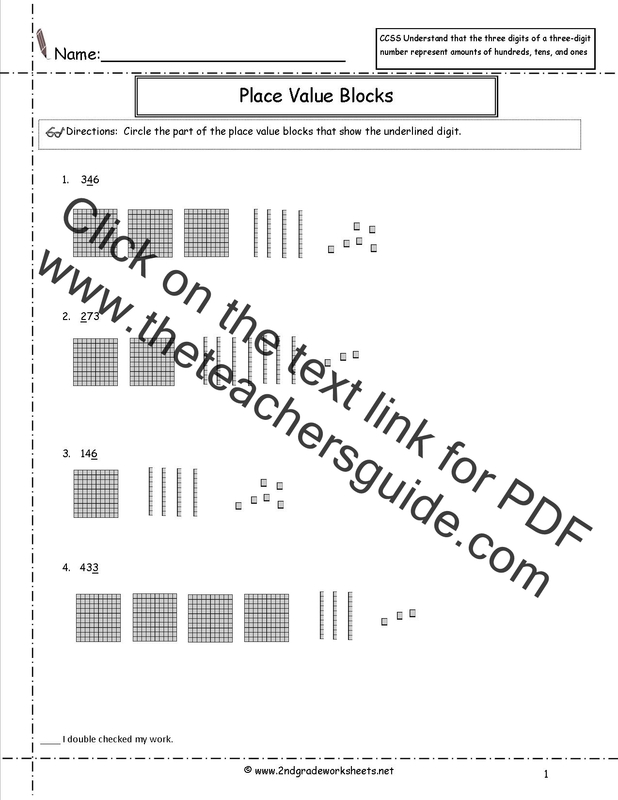 Students circle the place value blocks that represent the underlined digit. 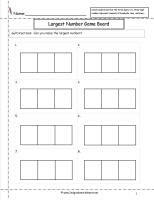 Students make the biggest number possible with given digits. 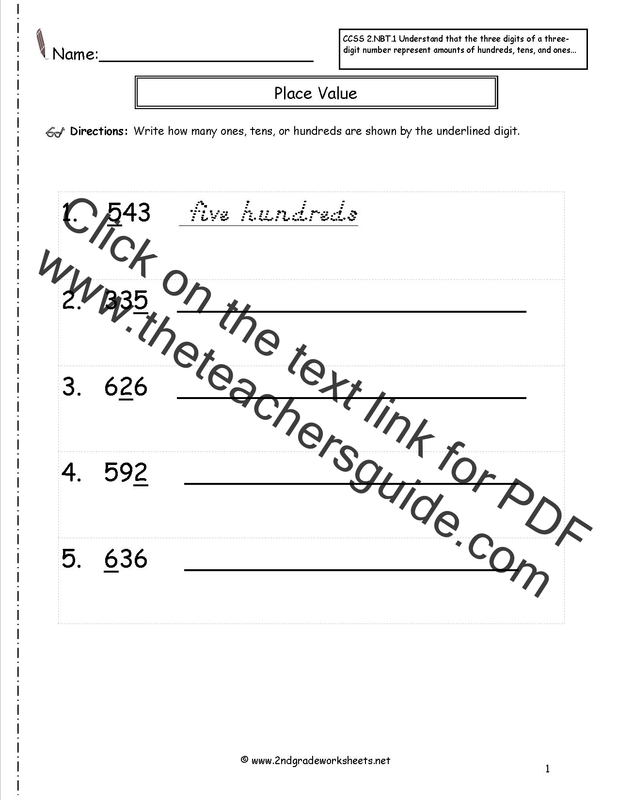 Students write how many hundred, tens, or ones are shown. 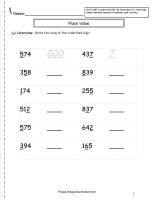 Students write the correct number shown by the digits and places. 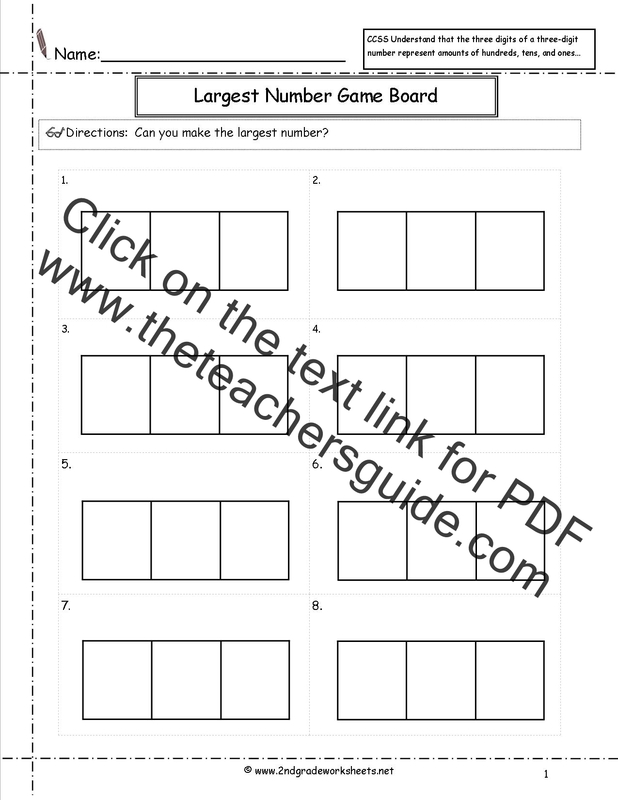 Students trade ones and tens. 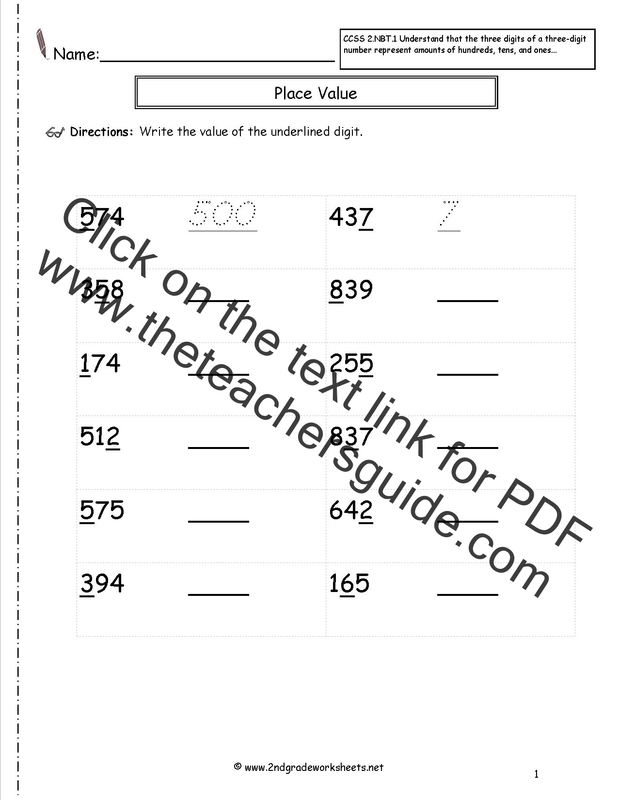 Students write the value of the underlined digits.